and are not to be used for publicity purposes. Please contact us for official publicity photos. 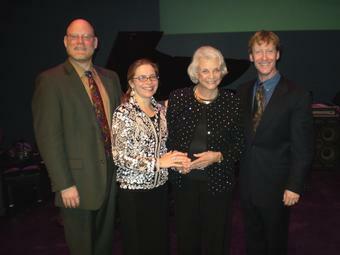 Anne, Jeff, and Danny with retired Supreme Court Justice Sandra Day O’Connor. For more information on Justice O'Connor click here. Click here to view Jeff playing at Saville Exchange, North Shields in the UK with Keith Nichols' Blue Devils, a 10-piece hot jazz band. the USA, and around the world. Click on a thumbnail to view in full size.